휴, 베트남의 트랜 리 호텔 | 호스텔월드에서 예약하세요. Tran Ly hotel is a new hotel in Hue, ideally located at 78 Le Loi street, heart of the city, next to the beautiful Huong river. 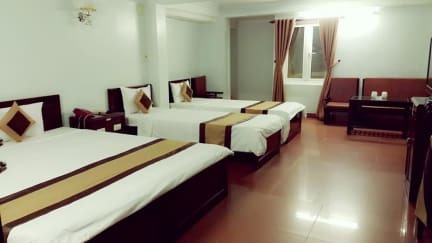 Tran Ly hotel is one of small hotels offering good services. - The all inclusive price gets you breakfast (except basic rooms), use of ADSL internet, wifi and free Hue city map.